Two young ospreys and an adult on a nest in Ocean County. In 1985 — just 31 years ago — a single bald eagle nest remained in the state of New Jersey. In 2015, CWF and partners monitored 161 nests throughout the Garden State. Just this year (as of June 20, 2016), over 50 young eagles have already fledged from their nests! What sparked this All-American comeback of the United States’ National Bird? DDT use was banned in the United States in 1972. That ban combined with restoration efforts by biologists within the NJ Division of Fish and Wildlife’s Endangered and Nongame Species Program (ENSP) resulted in 25 bald eagle pairs by 2000. Since then, CWF and ENSP biologists have worked together to not only conserve New Jersey’s existing bald eagle population, but help young eaglets in the state thrive. We manage the New Jersey Bald Eagle Project, a network of passionate, dedicated volunteers that monitor bald eagle nests and help reduce human disturbance in eagle habitats. These incredible volunteers, like the late Elmer Clegg, have been an integral part in the recovery of bald eagles throughout the Garden State. CWF and ENSP have even begun tracking bald eagles to see where they travel and to learn more about their behavior! During the summer of 2014, two juvenile bald eagles were fitted with a GPS tracking device (a wearable backpack). Our team of biologists chose one eagle from Atlantic County (a male) and one from Cumberland County (a female) to be tagged in this telemetry study. 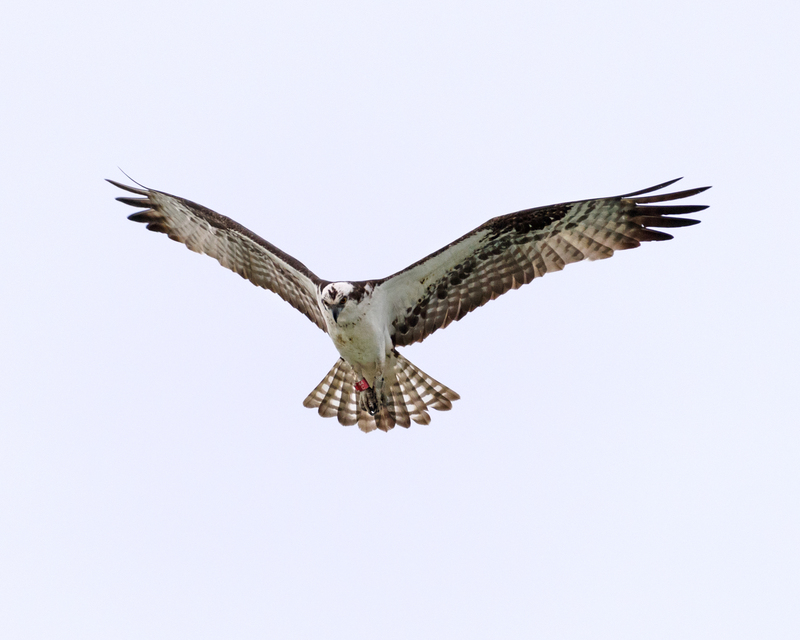 Then in May 2015, a juvenile male from a nest in Cumberland County was fitted with another GPS transmitter. You can follow the journey of “Nacote” and “Oran” on our website. CWF also partners with Duke Farms on a webcam that provides a live look at a bald eagle nest in Hillsborough, New Jersey. 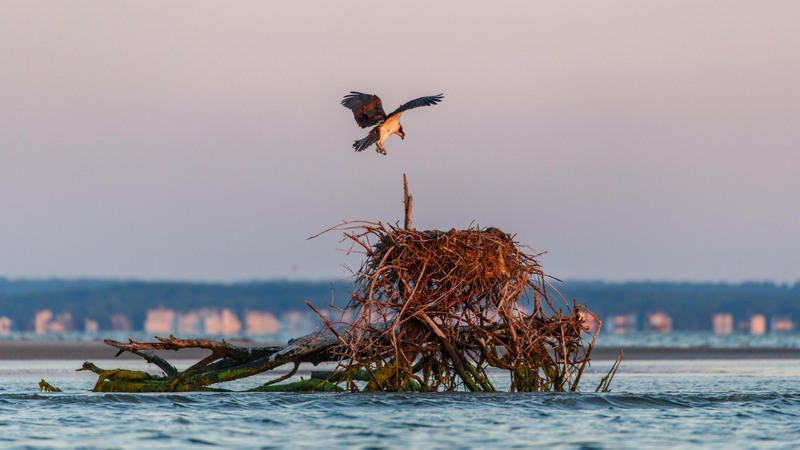 During the eagle nesting season (late January-July), the EagleCam allows viewers an up close and personal view into the lives of a pair of bald eagles as they breed, incubate, and raise young. Between the general public and classrooms up and down the east coast, the EagleCam has many fans – over 11 million viewers and growing! This year, CWF’s eagle expert Larissa Smith launched a new citizen science program to engage these viewers in gathering scientific data on the eagles’ diet. Today, American Eagle Day, we celebrate the hard work of the biologists, volunteers and concerned citizens throughout New Jersey that have made a difference for the birds and contributed to their comeback. The bald eagle was selected as the central image of the Great Seal of the United States by the Second Continental Congress on this day, June 20, in the year 1782. For 234 years, the bald eagle has served as the living symbol of freedom, courage, strength, spirit, democracy, independence, and excellence. Today, we celebrate the recovery of the bird and the All-American comeback the population has made in the Garden State. Throughout the entire country, there are an estimated 14-15,000 bald eagle pairs! Though the bald eagle was removed from Endangered Species Act protection in 2007, it is still protected under the Bald and Golden Eagle Protection Act of 1940 and Migratory Bird Treaty Act. The 501(c)(3), not-for-profit American Eagle Foundation (AEF) of Tennessee has been a major proponent and organizer in establishing and promoting “American Eagle Day.” The AEF is celebrating its 30th year of protecting and caring for bald eagles and other birds of prey. CWF thanks AEF for their support of our work in New Jersey! “On American Eagle Day, and every day, let us continue to treasure and protect the Bald Eagle all across this great land for future generations to enjoy,” says AEF Founder and President Al Cecere, who has been spearheading the American Eagle Day effort for two decades. Conserve Wildlife Foundation eagle biologist Larissa Smith has launched a new citizen science project in an effort to learn more about New Jersey’s eagles. We know that many teachers, students and bird lovers watch the wildly popular Duke Farms EagleCam, and now those viewers can help Larissa gather data by participating in the Eagle Food Observation Project. Larissa holding an eagle at a banding last week. Jim Wright — author of the popular posts about the eagles for Duke Farms’ “Behind the Stone Walls” blog, as well as, “The Bird Watcher” column for The Record — interviewed Larissa Smith in the most recent post on Duke Farms’ blog. 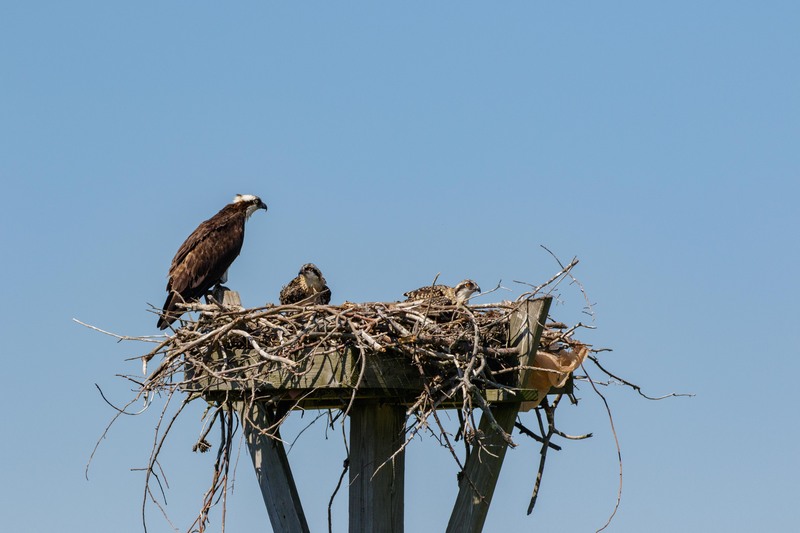 In this interview, Larissa explains her latest citizen science project to learn more about the Duke Farms eaglets’ diet.